Audi led the way at the end of the morning session at the Le Mans test day. Loic Duval headed the order after the first four hours of running with a time of 3m27.732s in a non-hybrid R18 ultra. That compared with Tom Kristensen's 3m28.084s in the R18 e-tron quattro hybrid. 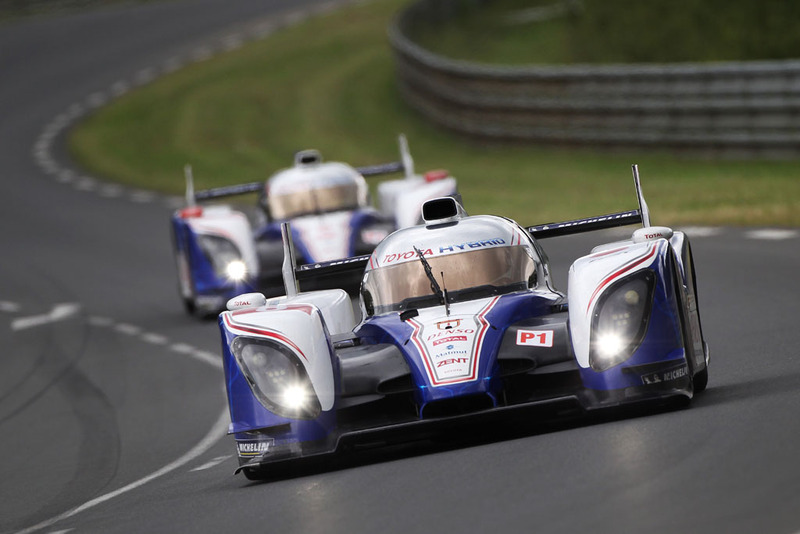 Toyota's TS030 Hybrid (pictured above) lapped six tenths off the pace. Sebastien Buemi ended up third in the times on a 3m28.298s. Benoit Treluyer and Marco Bonanomi were fourth and fifth fastest in their Audis, while Toyota driver Nicolas Lapierre was sixth.